Find the regulatory path to legally bring your product to market in the US (FCC), Europe (CE) and beyond..
A must have for every technology maker and hardware startup! This is an essential reference guide for makers and hardware companies who intend to launch an electronic product at some point. 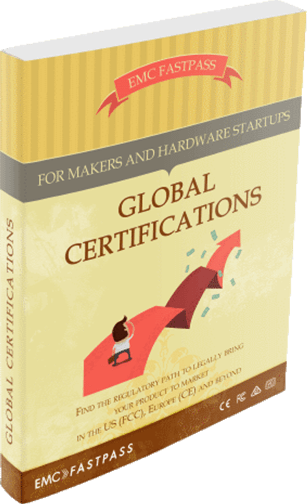 As well as giving step by step instructions for getting FCC and CE approvals, it also outlines the many types of certifications that can apply to electronic products around the world. What are the pros and cons of wireless modules? While focusing on EMC and RF certifications, because they apply almost universally around the world, it also gives an overview of how to determine whether other certifications (safety, SAR, environmental, proprietary) apply and how to go about getting them. I bought a copy of your book and I must say I am loving it.